The nuclear power plant near Richland shut down unexpectedly at 11:24 a.m. Sunday. Equipment malfunctioned at the Bonneville Power Administration's Ashe Substation near the Columbia Generating Station, which is operated by Energy Northwest. 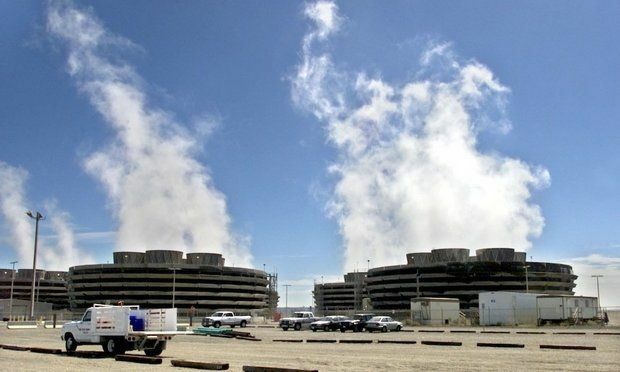 Cold weather caused the loss of the 500 kilovolt line connecting the nuclear plant's main output transformers to the substation, according to Energy Northwest. The nuclear plant's output breakers responded as they are designed to perform and separated the plant from any potential grid transients. Columbia's operating crew then successfully stabilized the plant. "It's unfortunate that this happened while we were on our way to closing out what still may be a record generation year," said Bob Schuetz, plant general manager at Columbia. "The plant remains safe, and we anticipate being back on the grid once we have more thoroughly reviewed what caused the BPA transmission event," he said.